If you’re a regular Grepsr app user, you may have noticed a slightly modified navigation bar with some new icons at the top of the page. Our Chrome extension is your first line of contact with us. When you install the extension, sign up and build a project, the project gets saved under your account into the app where you can view the data being collected in real-time. 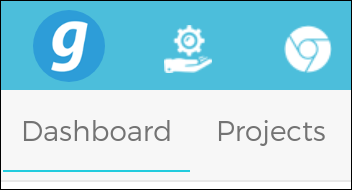 In the app, this is where the projects you’ve created using the browser extension are located. They’re marked with a small grey Chrome icon on the projects list as shown in the screenshot below. The core concept of Grepsr Concierge is to provide data as a service. As powerful as the Chrome extension is, its capabilities are still limited in some cases where a website is poorly structured, inconsistently laid out or designed, etc. Alternatively, in case you already have a Grepsr account, simply create a new project using the button at the top right when you’re on the Concierge section of the app. In the resulting page, fill out the form with your project requirements and submit! We know you’re busy, so while you take care of other things, leave the data sourcing to us. Our team of specialists will set up the project on your behalf, run the extraction and deliver the data as soon as it’s ready! In the app, projects so created are now listed in the Concierge section. For some of our users, the changes seem to have been so sudden that they’ve reported their projects as “missing”, “lost” or “disappearing”. Spooky! But rest assured, there’s nothing supernatural going on — they’re safe, just moved to either of the two new sections. We admit this may be a little annoying at first, but you’ll see the benefits going forward.